I never know what I am going to read next. Somehow this week I have had five rather varied nonfiction books catch my eye. A purchased ebook to give me organized quotes from highlighting the environmental message of Peter Wadham’s A Farewell to Ice. Two library books were most enjoyed: a) The New Wine Rules (2017) by Jon Bonne has fun Rules from 1) drink the rainbow to 89) don’t save a great bottle for anything more than a rainy day. Open and enjoy. And b) The Flora of Middle-Earth (2017) by the father son team Walter and Graham Judd. Walter is an eminent professor of Botany at UFlorida and his son Graham is a professional illustrator in St Paul Mn. They spent four years exhaustively researching the plants and created an amazing field guide so you can create your own middle earth. I can’t believe I missed the NPR review of this. Two additional books were sent by friends 1) Deep Nutrition by Catherine Shananhan, MD- so much common sense that really means changing your lifestyle and 2) Forged in Crisis by Nancy Koehn, PhD Historian. 4 stars, Recommended as Library reading, I’m glad I didn’t pay money. “Nancy Koehn is a historian at the Harvard Business School where she holds the James E. Robinson chair of Business Administration. She has coached leaders from many organizations and speaks frequently at the World Economic Forum in Davos, the Aspen Ideas Festival, and the World Business Forum. An accomplished author and scholar (she earned her M.A. and PhD degrees in history from Harvard), she spent ten years writing Forged in Crisis, her first book aimed at a popular audience. Her research focuses on how leaders, past and present, craft lives of purpose, worth and impact. She lives in Concord, Massachusetts and is a committed equestrian.” She has written several books and case studies, previous best: Brand New: How Entrepreneurs Earned Consumers’ Trust from Wedgewood To Dell about six entrepreneurs. The case studies or essays include Ernest Shackleton, Abraham Lincoln, Frederick Douglass, Dietrich Bonhoeffer, and Rachel Carson. This was an interesting mix and my first question was why these five, what did they have in common? I’ve read multiple great biographies on all but Bonhoeffer. At the same time, the current political climate could benefit from a wider audience reading this book. I was disappointed in the analysis of leadership, often a page summarizing at the end of each profile (60-80 pages). They more like afterthoughts not original insight. In the conclusion, “The Power of Courageous Leadership” Koehn tells us that the most important thing that connects these leaders is “that these leaders were made, not born.” Years ago, I read John F. Kennedy’s succinct, inspirational book, “Profiles in Courage.” I can’t believe it’s too dated to read. Especially in light of the comment/conclusion “All five leaders were willing to work on themselves.” I think college lecture or motivational speaker. “The second thing that each of the five leaders learned as they navigated through great turbulence was the significance of committing to a worthy goal.” This applies to every generation, but we need tools to make the generations work together. These five also learned was the value of resilience. We definitely need more of that. Author: Duhigg is an award winning reporter for the NYTimes (since 2013, previously he worked freelance). He studied history at Yale, MBA from Harvard. He is the author of the best selling and excellent Power of Habit (2010), about the science of habit formation. His books are well researched and informative. He has a clear writing style, if somewhat wordy. Subtitle is secrets of being productive in life and business. There are 8 chapters including motivation, teams, focus (the best chapter), goals, managing others, decision making, innovation and absorbing data. The appendix has readers guide, with suggestions. Each chapter includes a variety of stories/ examples, e.g. the marines, Disney, Detroit to airlines that reinforce the 8 concepts. I found them too detailed and not necessarily the best examples. It is overall positive thinking with helpful advice, often with suggestions which will appeal to particular individuals. Hence people will get different messages from this book. Suggestions need greater prominence, or brevity within the text. This is still a good reference book for team building and project management. These are the things, that separate the merely busy from the genuinely productive. There are some people who pretend at productivity, whose resumes appear impressive until you realize their greatest talent is self-marketing. The need for control is a biological imperative. When people believe they are in control, they tend to work harder and push themselves more. They are, on average, more confident and overcome setbacks faster….One way to prove to ourselves that we are in control is by making decisions. Each choice, no matter how small, reinforces the perception of control and self-efficacy. For psychological safety to emerge among a group, teammates don’t have to be friends. They do, however, need to be socially sensitive and ensure everyone feels heard. Teams need to believe that their work is important, feel their work is personally meaningful, clear goals and defined roles. Team members need to know they can depend on one another. But most important, teams need psychological safety…..
It’s important to manage how you think, rather than what you think. Received as an ARC ebook from Netgalley. Tartan Day is ahead of us (April 6), celebrating the many contributions of the Scots to the United States. It was chosen to commemorate the Declaration of Arbroath (6 April 1320) upon which the Declaration of Independence was modeled. The water of life (whisky) is certainly in the warm welcoming spirit of America. Andrew Carnegie funded thousands of public libraries in The United States, recognizing their role in the American Dream, and his in particular as a poor scottish immigrant. In past years I have held many fundraisers, often whisky tastings with the wonderful support from Andy’s in Rochester and numerous distillers. I had many warm memories reading the following book, and miss RPL and Andy’s! Author: Ted Bruning has written several interesting books on spirits, including Home Brewing (2014) and Historic Pubs of London (2000). He usually provides a nice list of places to visit and includes here websites and regional distilleries. This would make a nice gift to add to a whisky connoisseur’s collection. This is a small book but is an interesting and informative history of single malt scottish whisky. I have read dozens of book on this subject and enjoyed the concise, entertaining text with good quality informative photographs. There are interesting shenanigans of the corporate whisky world in the 1980/90s. It was depressing to read how many are now foreign owned. At least they are still producing. After reading, I have a couple new artisanal distillery offerings to try (Abhainan Deag on Lewis since 2008, and Kilchoman, the first new Islay since 1908). Eradour, Scotland’s smallest distillery, was founded legally in 1825 by a cooperative of local farmers to supply their own needs; but mysteriously, they seems to have been already experienced stillmen. Victorian consumers seem to have taken it for granted that whatever they bought might contain more or less anything from innocuous to the lethal; and whisky was no exception. By the mid 1870s brandy was on short supply. Scotch wasn’t. 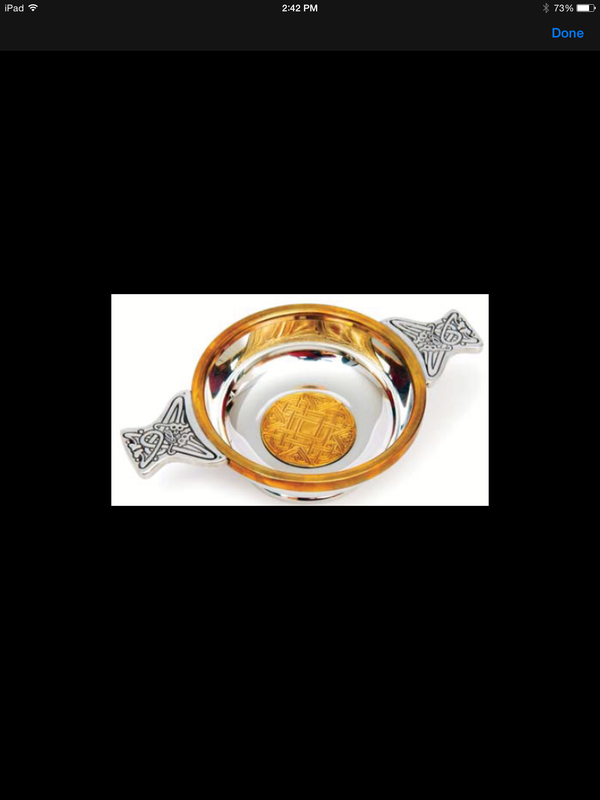 In one sense it doesn’t matter what you drink your whisky out of so long as the hole is at the top and not the bottom. This is a magnificent historical account of Hermits, Hermitages and English Garden design, especially Georgian. Hermitages have enjoyed a minor renaissance recently, with old ones restored, new ones built and even job offers with increased tourism. I think the popularity of hobbits might have helped too. Although he claims that gnomes are a logical evolution of the hermit they are still banned at Chelsea Flower show! “Garden hermits evolved from antiquated druids and eventually declined into the garden gnome.” He illustrates four types of hermitages- religious, secular or court, Elizabethan and earlier British hermits (he often states English hermits, while showing them in Scotland and Ireland). Many early garden hermitages were in southern Europe, Italy, France around the 1400s, although the first might have been at the Roman villa of Hadrian. Campbell also recounts the fascinating history of hermitages in Spain. 18th century British grand garden design brought follies into the landscape. Follies often included hermitages with or without hermits (not religious but secular). Britain has had hermits since pilgrimages of Christianity, but I was astonished at the list of 750 cells and names of 650 hermits in the 1800s (Rotha Mary Clay). These were places of contemplation, which allowed “pleasurable melancholy” and deep thought, sometimes following a retreat after personal crisis. They were also fads/fashionable as recounted by nobility ‘pretending to be peasants”. The affinity for nature and solitude had a quite different expression in America with Thoreau and Emerson. Hermits have been romanticised but in actual fact the austere living conditions were primitive at best – and sometimes had required conditions of not cutting hair or nails (for up to 7 years). I found the descriptions both beautiful and tragic, for so many gardens and hermitages lost over the centuries. I have space in my garden: gnomes need not apply. Bibliography and List of Hermitages in the World (country and county) Now I must visit the Ermitage at Arleshein, Switzerland – it sounds idyllic and has the last surviving ornamental hermit. It is time for beach reads again, although I read anything and everything over the summer. I have a list of authors I return to, to see what they have written next, that I simply must read. Locate that sun umbrella, the chaise lounge, the iced tea and lose myself in another world. Sometimes it is a place (Paris, London, Yellowstone), sometimes it is a person (Shakespeare, memoirs, presidents), sometimes it is a time (medieval Scotland, Puritan New England, the 1960s) and sometimes it is a taste (single malts, organic foods, what to eat next). Entertaining, educational and edifying, these authors never fail me. Heavily weighted towards history and natural history. Last night I was looking around for something to read and was searching the library’s digital collection when I came across a book entitled, Sh*t My Dad Says. The title alone was intriguing and – knowing very little about the book – I downloaded it and began reading. To say that it’s exactly what I needed right now is putting it mildly. With the winter weather droning on and on, I was in need of something light and humorous to lift my spirits. 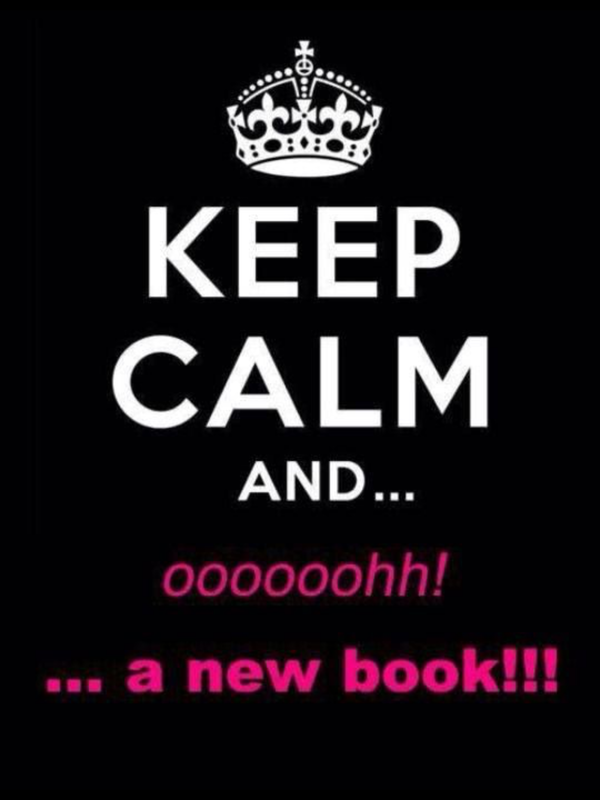 This was definitely the book for that!! 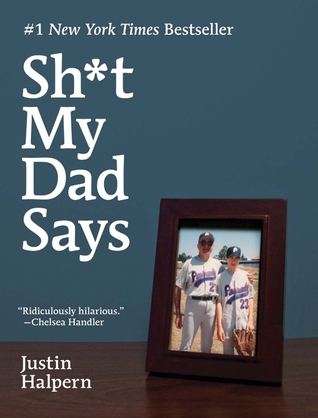 Sh*t My Dad Says is a work of non-fiction anecdotal humor about a young man growing up with a father that has no “filter” on what not to say. At one point, the author refers to his father as being the least passive aggressive person he’s ever known. If his father is thinking it, it will come tumbling out of his mouth. Justin Halpern’s book isn’t quite a memoir so much as it is a series of anecdotes on life through his father’s eyes….and it is absolutely laugh-out-loud hilarious! More than once I caught myself reading a passage that was so funny that I was caught in a fit of giggles with tears streaming down my face. It’s that funny! A word of caution to the reader, however: when I say that Halpern’s father has no “filter,” I mean that he not only has no filter on his thoughts, but none on his language either. The language can be a bit raw, and that can be a bit of a turnoff. If the reader can get past the language, though, the book is absolutely hilarious and is a wonderful tribute to all of our parents who embarrass us in their own unique ways. This book is available at the Rochester Public Library in traditional format, and through downloadable e-book format. I anticipated an interesting and informative read as Island Press is a leading non-profit environmental publisher which specialises in ecology, biodiversity, conservation and natural history, all subjects I love. They publish 40 titles each year (with a library of over 800 titles) trying to reach a broader audience with scientific information. One of their books “Unnatural History of the Sea” by Callum Roberts (2009) was declared one of Jonathan Yardley’s top ten books of the year, a formidable accolade. EO Wilson’s memoir was another mesmerizing, unforgettable title for me. Climate and Conservation consists of 19 case studies presented from many of the world’s ecosystems: temperate, polar, equatorial, montane etc. The studies are presented by ‘people on the ground’ primarily academics and scientists, many working for the Nature Conservancy, WWW or similar NGOs (non-governmental organisations). Although this is published in 2012, it feels dated with much information from 2002-2006/9. At the very least some of the climate data from 2011, 2010 should have been included, especially updating the introductory chapters, which were otherwise excellent. This book contains some very interesting habitat / ecosystem studies from Madrean Sky Islands to Albertine Rift (Africa) or closer to home with the Appalachians or Yellowstone. Each region has a detailed map of the area, with a few good quality photographs also illustrating some regions. The chapters have specific details to vast generalisations, with multiple authors reflecting different styles, although there is an overall message of providing recommendations to DO something in each local environment, which ultimately will have a global benefit. Some of the pictures painted are dire (the Amazon with illegal land appropriation and deforestation always comes to mind and is represented here). Having worked in many of the areas represented here the overall portrayal of conditions, expectations and assessments are accurate. I felt confident that regions I knew little about were also presented well, and enjoyed learning more about Mongolian Grasslands and Arctic Alaska (ecosystems I know I will not study myself). My initial impression on reading this is who is the audience: students? colleagues? professionals? general public? As this book does not just show problems of biodiversity and climate change, but also involves problem solving, de-emphasizing the doom and gloom of many popular presses, I think the book is intended to reach a broad audience, providing scientific facts to people on the ground, such as for planners and managers. I think it could have a much broader audience with this remit. I can’t see many of my neighbors reading this book, but I would like to buy each of them a copy. 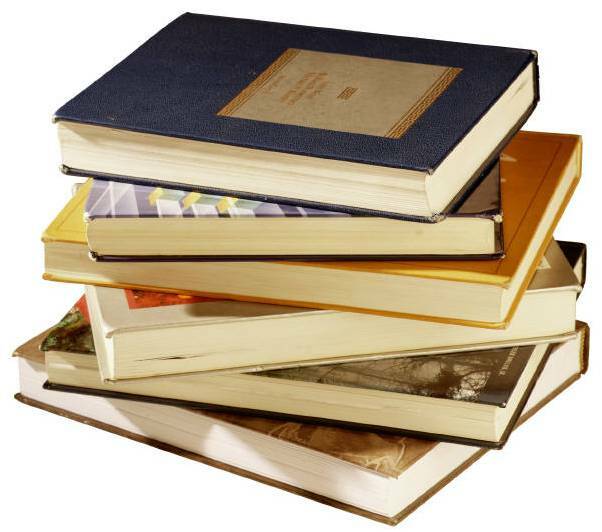 It would also be an important reference for community and high school libraries which should provide accurate information on an important current topic. 2012 was the warmest year on record, when are we going to wake up?My kindle copy had annoying grammatical errors, typos, weird hyphenation, lack of capital letters for author names, poor indexing, … The Bios of contributors / authors were interesting, and provide reassuring credentials (scientists and academics with good experience). I confess I read that chapter first before assessing the case studies. The index, however, was basic and incomplete, not including the authors or all the locations. There is an impressive list of references or publications, but I feel these would have been more useful and appropriate at the end of each chapter/case study. I love discovering a new author to read: his list of awards for previously published novels is delightful. The Double Agent is an old-fashioned spy thriller, well researched (well read!) and well written. His style (descriptive, intrigue, pace) pays homage to Cold War espionage novels and made me quite nostalgic for those books. Especially with the multiple literary references from the masters of this genre: Le Carre, Deighton, but also recognising several of my personal favourites: Geoffrey Household, Helen McInnes, John Buchan and Alan Furst. The Appendix has a list of 222 books from 48 author, 18 of whom were in intelligence. 57 were published before 1957. All will provide hours of entertaining reading if you haven’t already perused this literature. These spy novels provide literary clues throughout this book, which I relished discovering and remembering (yes, I got sidetracked into several books after reading this one). I loved the references to plots, international locations and historical events.